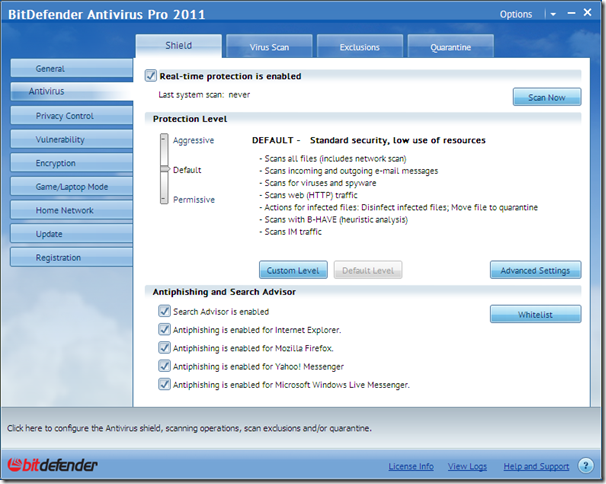 BitDefender Launched BitDefender 2011 Products-What’s New? We always try to inform news as early as possible. In our previous post we have posted about how to get a Free and Genuine License Key of BitDefender internet security 2010 for everyone, with that post so many users grabbed BitDefender License Key. Now in this post I would like to inform that Bitdefender has launched new version of it’s security products 2011, and you can upgrade to 2011 products for free if you have Got License in that giveaway too! or if you bought BitDefender Products. 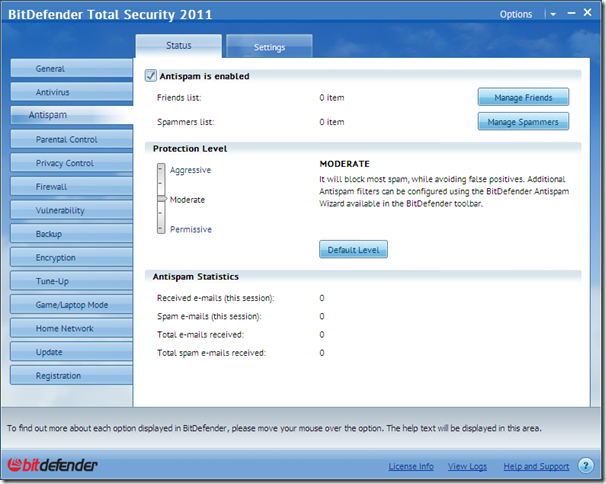 Bitdefender updated all of its products like ANTIVIRUS PRO 2011, INTERNET SECURITY 2011 and TOTAL SECURITY 2011. All the three products updated to new versions. BitDefender Total Security 2011 provides comprehensive, proactive protection, system maintenance and backup, all without slowing down your PC. 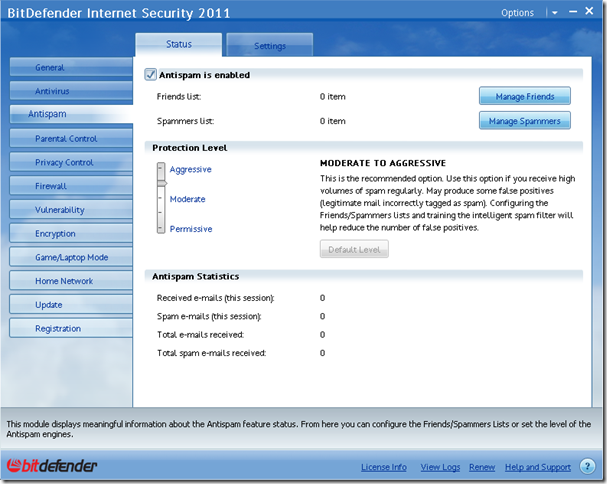 What’s New in BitDefender 2011? According to press release of BitDefender, the below are few new features we find in BitDefender 2011 products. Enhanced Detection – Every product in the BitDefender 2011 family provides multi-layered, proactive technologies to hunt down and eliminate the latest threats in seconds. QuickScan – The inclusion of the QuickScan feature means better detection and improved response time to the most frequent and riskiest activities on the computer. Search Advisor – The entire product line also includes phishing warnings for search results and safety ratings for all websites that may contain spyware or inappropriate content. Smart Scan – Optimized scanning technology skips known safe files for faster scan speed and lower system load. It prevents slowdown by adjusting settings to match available memory. Enhanced Game and Laptop Modes – Special task modes ensure seamless and secure computing, prolong battery life, or reduce system load and interruptions by delaying requests during favorite activities. Adaptive Design – The new Adaptive Design user interface streamlines installation into push-button simplicity and allows users to choose Basic presets or move beyond to Intermediate or Expert settings. Dashboard Shortcuts – All BitDefender 2011 products enable users with specific needs — like parents and gamers — to create their own dashboard and shortcuts to frequently-used functions. Smart Tips – BitDefender now includes a series of personalized suggestions, warnings, and safeguards that are relevant to the user’s recent activity. All the above products are available for 30-days free trail. If you have a genuine license key, then you can upgrade to 2011 version for free (Officially confirmed). Bitdefender has become a bloatware and i have stopped using it. Didn’t renew it after using it for a year 🙁 Am happy with MS Security Essentials!